Scarlet Pearl Casino and Resort | Cost of Wisconsin, Inc.
D’Iberville Mississippi is the home the Gulf coast’s newest casino, Scarlet Pearl Casino Resort. For over 20 years, the city of D’Iberville has been vying to land a casino in their township. The town’s hard work and persistence paid huge dividends. December 9th, 2015 marked the official opening of this $290 million stylish boutique casino hotel which offers 300 rooms, including 56 suites and 10 penthouse suites, 1300 slot machines, and table games. 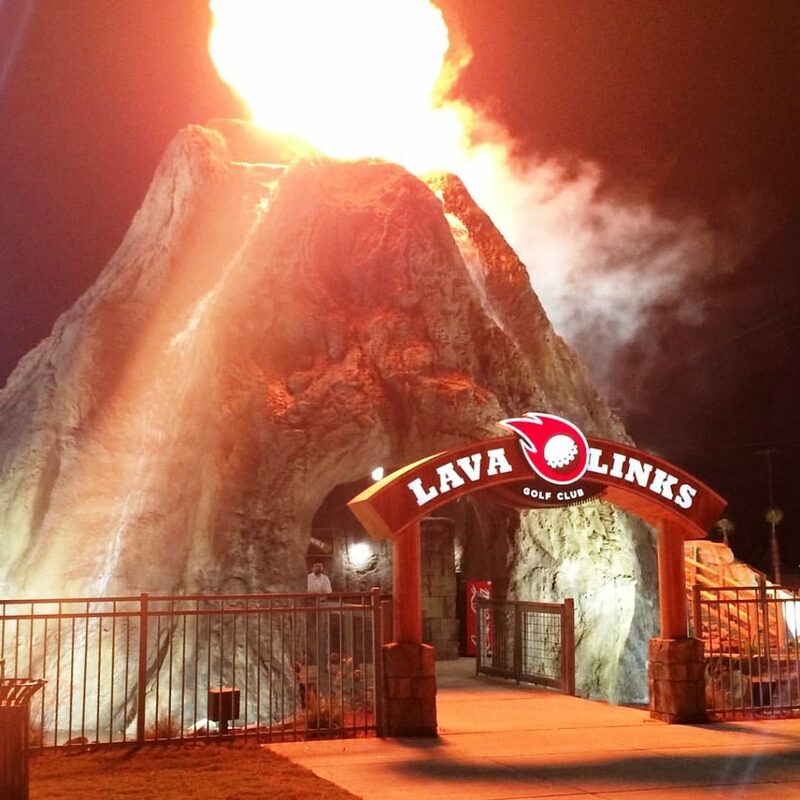 The facility also boasts four restaurants, an events center, a swimming pool, and a 36-hole miniature golf course with waterfalls and an erupting volcano. The golf course volcano was developed to be highly visible, with waterfalls and an eruption sequence. The success of this entire course hinged on the knowledge of water features and theme construction. COST was brought in as a consultant to assist the design team in developing this iconic course and decorative features. As patrons enter the casino and approach the gaming floor, their eyes are immediately drawn to sprawling, tall Mississippi Oak Tree. The 5-foot diameter tree stands over 25-feet tall and includes a beautiful canopy of simulated Oak leaves. The Oak tree serves as the center piece for the 24-hour coffee shop named Under the Oaks Café. Guests enjoy sitting on a raised porch, sipping their favorite beverages and eating Southern cuisine under the canopy of this authentic tree. The Scarlet Pearl Casino Resort marks COST’s third successful casino project COST with Roy Anderson Corp and the 5th with its parent company, Tutor-Perini Corporation. The New York office for SOSH Architects led by principal, Nory Hazaveh, helped create the inspiration for this truly remarkable casino.